Since young people’s lives are increasingly mediated by digital technologies, media arts—such as documentary and other technologically supported art forms—help young people develop an understanding of the world and how they fit into it. Media arts education programs for youth in community settings enable young people to develop a sense of self-advocacy and identity, as a way to respond to how social, economic, cultural, and political structures are affecting their lives (Horst, Herr-Stephenson, & Robinson, 2009; Hull & Nelson, 2010; Metzger, 2010; Taylor & Carpenter, 2007). 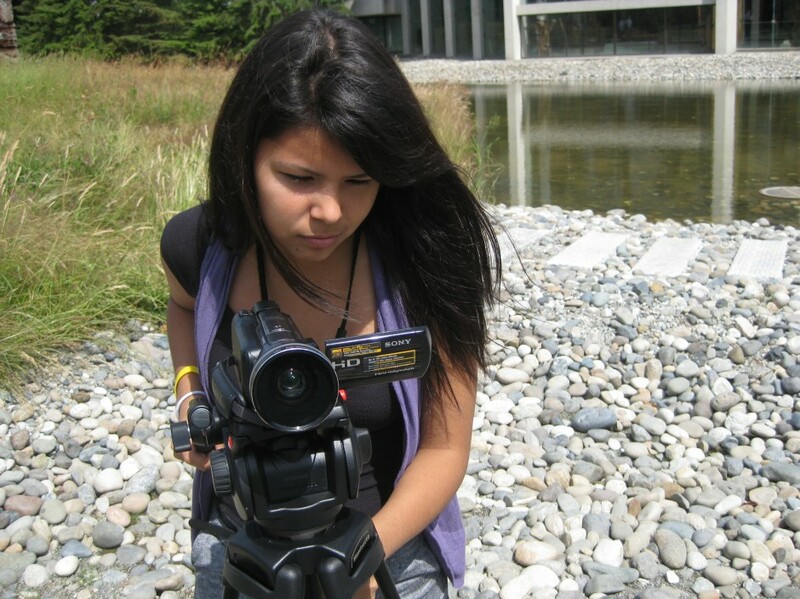 Though considerable, research on youths’ media arts practice has predominantly focused on young people from middle-class families, marginalized youth—defined in this study as young people facing serious difficulties whose participation in society is inhibited by various barriers—have been underrepresented in research. While scholarly evidence, including findings from our recently completed SSHRC study, indicate that community media arts programs attract marginalized youth who often do not have access to mainstream educational experiences (Herr-Stephenson, Rhoten, Perkel & Sims, 2011; Ito et al., 2009; Levy & Weber, 2011b; Lin, Grauer, & Castro, 2011), there is not enough research that examines what marginalized youth within urban communities are doing through media arts and what curriculum innovations are offering. The purpose of our research is to investigate marginalized urban youths’ media arts practice in community digital-mediated arts programs and how it impacts their engagement around identity, culture and wellbeing. This study takes place in community media arts learning sites located in culturally dynamic and geographically diverse urban environments of Vancouver, British Columbia and Montréal, Québec. It will examine the impact of media arts practice on marginalized urban youth through a program of field observation, interviews, visual documentation, and analysis of youth learning processes and artistic productions, using ethnography and image-based research methods. 1. How do young people’s creative practice and digital production influence their conceptualization, negotiation and participation around issues of identity, culture and wellbeing? 2. What roles do artists/teachers play in community-based sites in engaging with marginalized youth to foster youth participation and community engagement? 3. How does the impact of media arts learning on marginalized young people suggest new curricula, pedagogies and policies that will help improve urban art education?